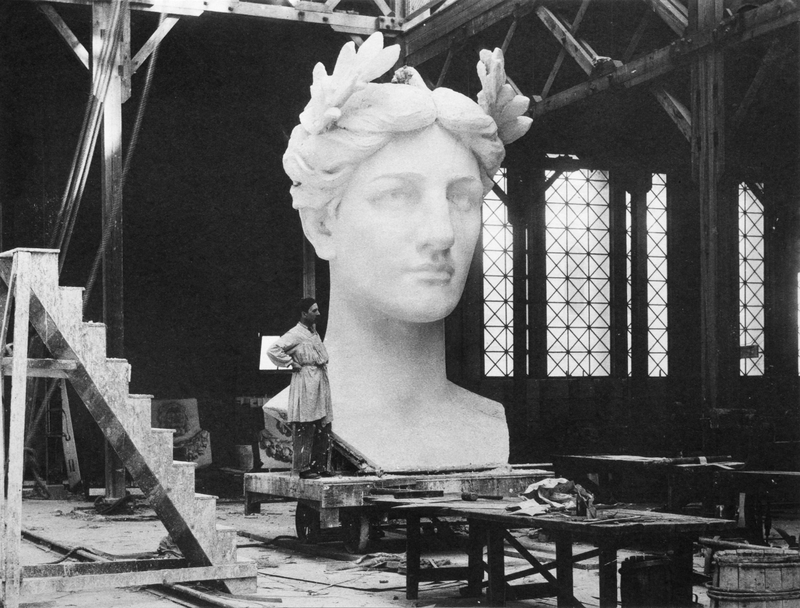 I am still haunted by the image of the colossal sculpted head of Edith Minturn’s visage, erected in the freezing cold warehouse where Daniel Chester French was assembling the grand Statue of the Republic for the 1893 world’s fair in Chicago. French’s wife said the pieces of the sculpture resembled “mushroom growths all about the floor of the Forestry Building” Ambulances were constantly coming to get the men injured while putting up the gigantic statue. It was almost as tall as the Statue of Liberty.